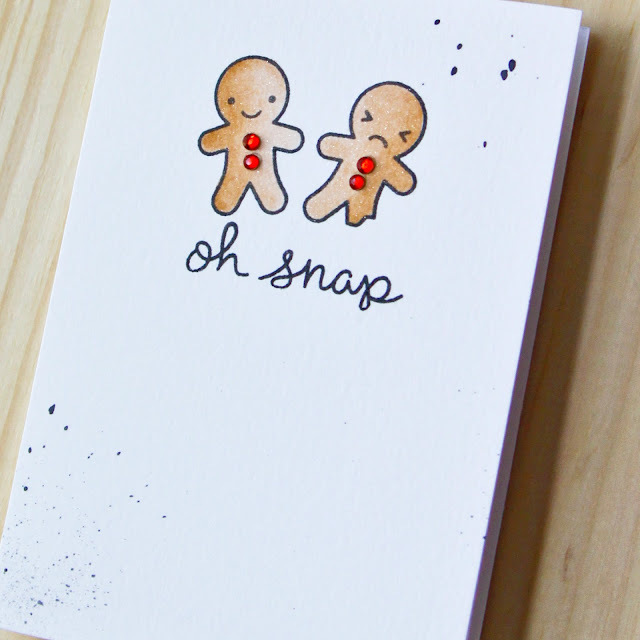 the new lawn fawn fall and winter release is so fun and oh snap is my favorite! today i just wanted to color the cute little gingerbread men on a quick card. 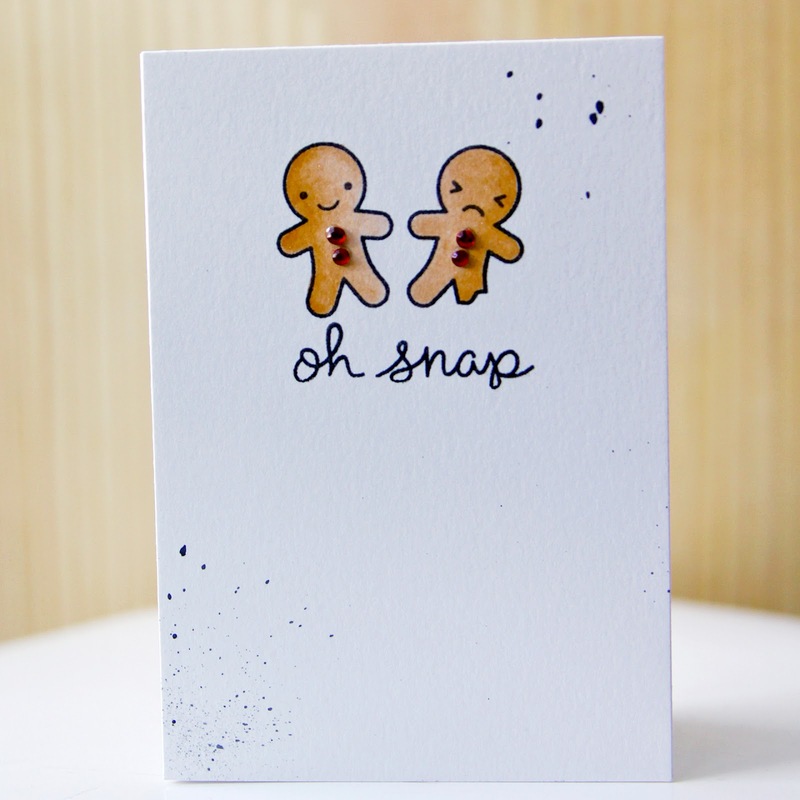 -i started with a 3.5 x 5 piece of smooth bristol and stamped both gingerbread men in versafine onyx black. then i stamped the sentiment below the cute guys in versafine onyx black as well. -to color my men, i used a zig clean color real brush marker in beige 072. to blend the color i used a zig wink of stella marker in clear. the wink of stella gives it a fun bit sparkle. -to my colored little ginger guys, i added some red rhinestones. -and to finish my card i added a little black ink splatter before adhering my bristol piece to a 3.5 x 5 solar white card.